How to remove printer driver ? Sometimes, when using a printer and testing multiple drivers, you may need to completely remove a driver package from the machine in order to install a new one or another. Sometimes you just bought a new printer and want to replace the old one at home. You think you removed the printer and its driver, but when you restart your computer, you can still see the printer icon. The only difference is that the icon is grayed out. In this case, it becomes impossible for you to uninstall or delete it again. Press the Win + R keys to open the Run dialog box simultaneously. Type appwiz.cpl and press Enter. In the list of programs, select the software / printer driver that you want to remove, and then click Uninstall. When the uninstallation process is complete, restart your computer. Method 2: Completely remove any unused, erroneous or damaged printer drivers. Type the control panel and press Enter. Change the View By icons (top right) to Small, and then open Devices and Printers. See now in the “Printers and Faxes” section, if the unused printer still exists in the list. If this is the case, right-click it and select Delete Device. After the printer is removed, highlight (select) any other printing device (for example, “Microsoft XPS Document Writer”, Fax, etc.) in the “Printers and Faxes” section, and then click Properties. the print server. In the Print Server Properties window, select the Drivers tab. Finally, select the printer driver that you want to completely remove from your system, and select Delete. When the deletion is complete, restart your computer. Click Start, type Device Manager, and press Enter. 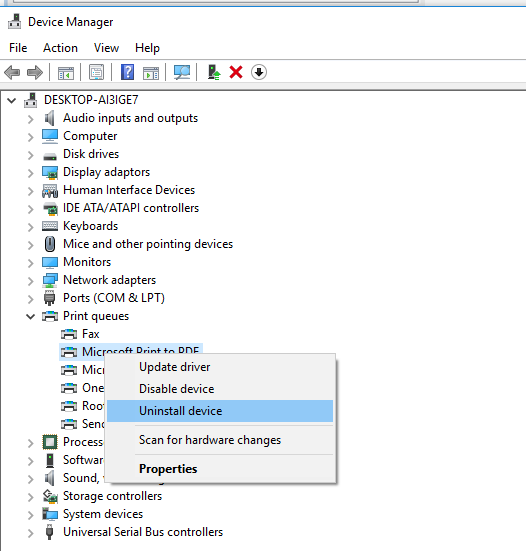 Locate and double-click the device category for which you want to uninstall the driver (for example, the graphics card would be listed under Graphics Cards). 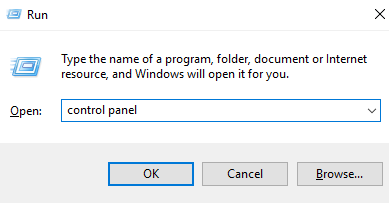 Right-click the device, and then click Uninstall. Windows prompts you to confirm the removal of the device. Click OK to remove the driver. When uninstallation is complete, restart your computer as soon as possible.